Cone Crusher middle of a large gear assembly is cone crusher spare part, moving cone axis interpolation, the smaller gap of about 3 mm, under a larger gap of about 8 mm, can be measured with a thick fuse assembly, socket liner abrasion and wear of moving cone sphere will affect the gap, moving cone trajectory by decision. Since the role of sliding bearing cone crusher. Outer copper bushing can be pulled homemade device removed after the demolition of the need to check the size of the hole in the creel. Copper rod inside sleeve can center or disk device by using a hammer split out, after the demolition of the need to check the size of the hole in the creel. When installing the countershaft bushing, use dry ice shrink at least two hours. After installation is complete you need to install the top screws, screw fastening needs painted with a professional plastic. Our company adopt advanced production process, centrifugal casting, copper bushing , bearing bush compared with sand mold casting can obviously improve the tightness, wear resistance, good tensile strength and tensile rate, flexion and extension, is not to the phenomenon of sand mold casting as the phenomenon such as sand hole, is the first choice for many kinds of form a complete set of machinery products. 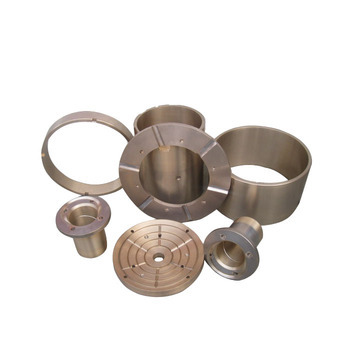 Hanshan is specialized in producing and processing of copper parts,with lathing,milling,planing,grinding,gear hobbing,stamping process.Hanshan also provides one-stop service from raw material to finished products. 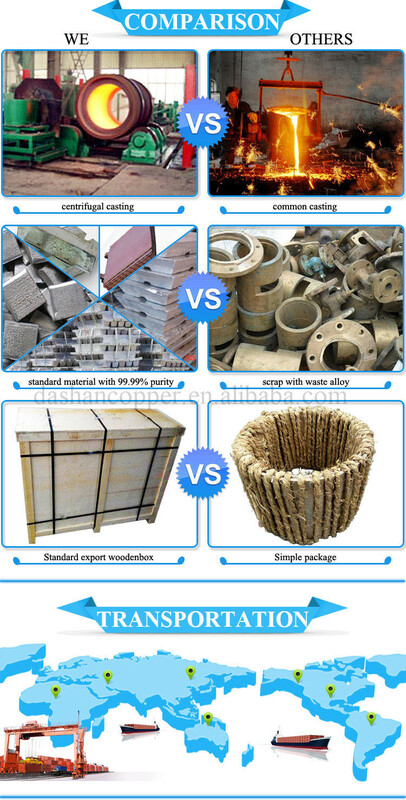 Production process: sand casting, metal mold casting, centrifugal casting. The model weight is from0.3kg/piece to 2,900kgs/piece. 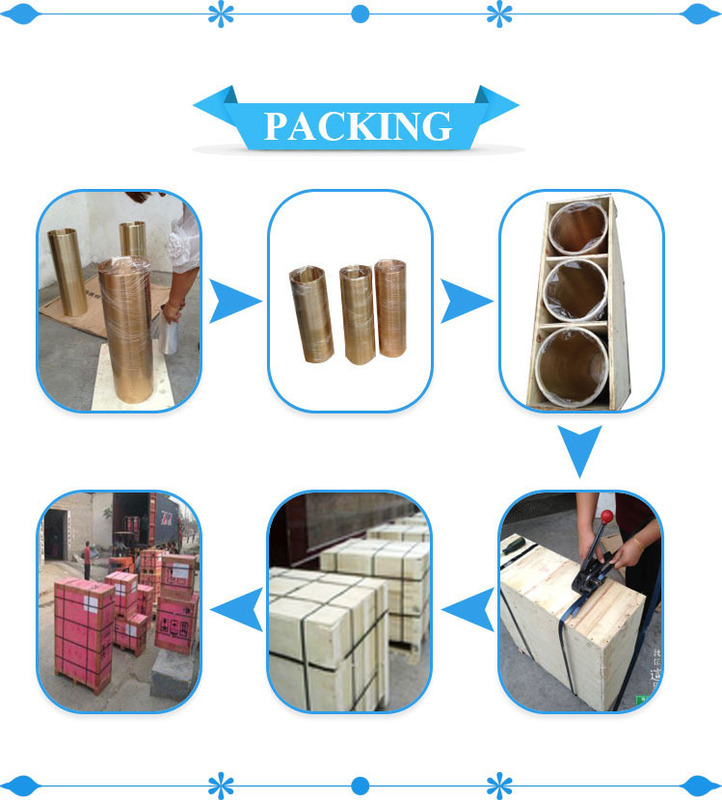 Special packaging , Oiling the surface rust, covered with a layer of thin-film anti-wear, boxing STAND ON END, compression and shock, fumigation-sheet pack. 1. 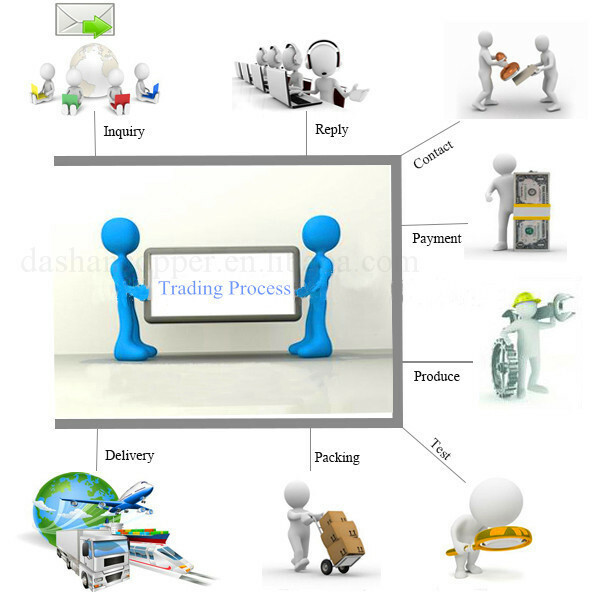 Q: How to proceed an order? 2. Q: How to visit your factory? 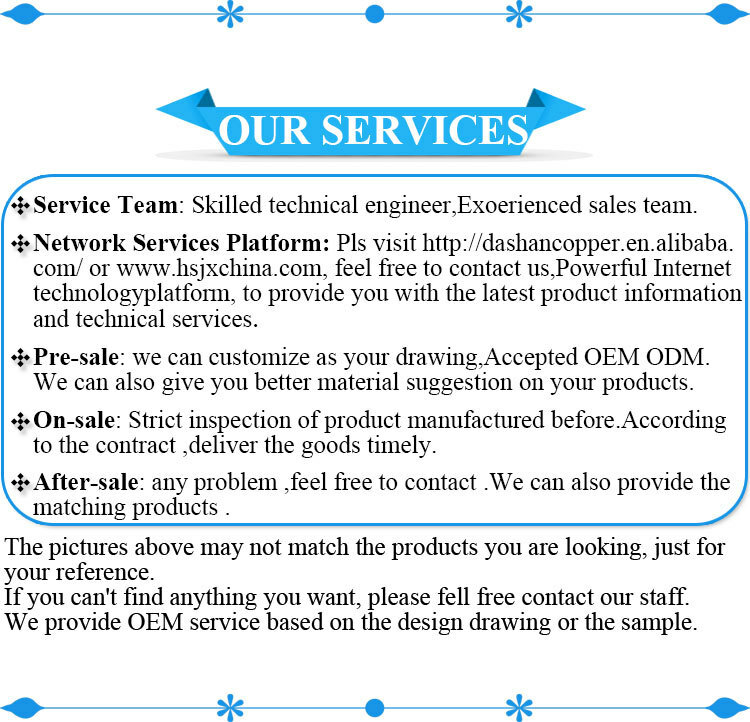 A: Our company is located in Xinxiang Henan prov.China. welcome everyone from home and abroad to visit. 3. Q: Why choose your company? A: Passion—We are not the most handsome or beautiful, but we have a loyal heart to serve for you. Honesty- Every question we thought stand on the position of customers. 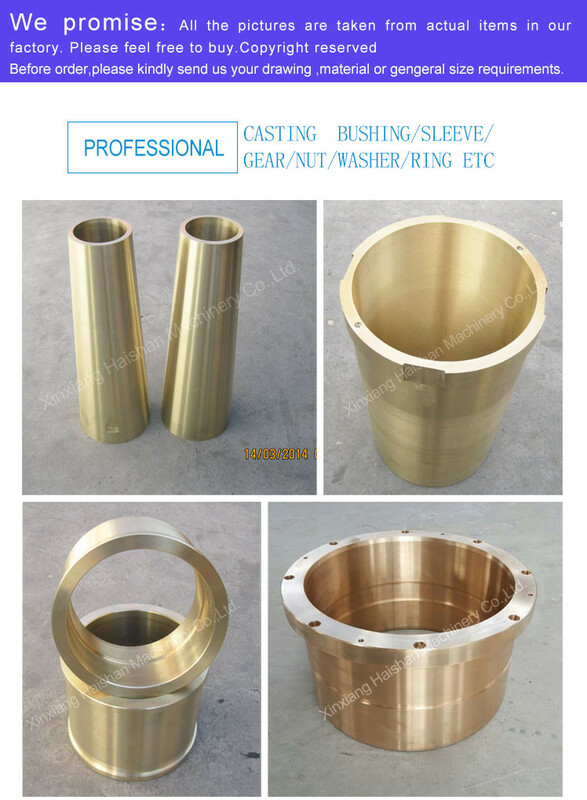 To offer the best copper bushing and sleeves is our biggest value. 4. Q: How long is the lifetime of these bushings? A: They can help your machine output more, with your gentle care, more than 3 years life they may maintain. If u deprive their rest time, I don’t know what they will do. Xinxiang Haishan Machinery Co., Ltd.